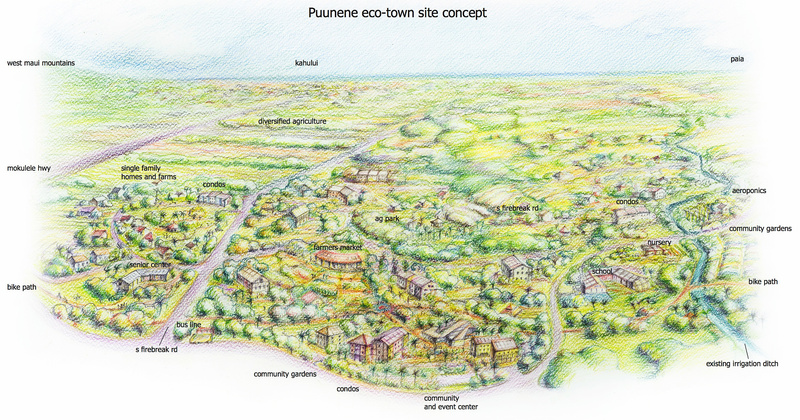 The Hukilike No Maui Coalition commissioned this illustration of our idea of a new community in Central Maui / near Puʻunēnē. 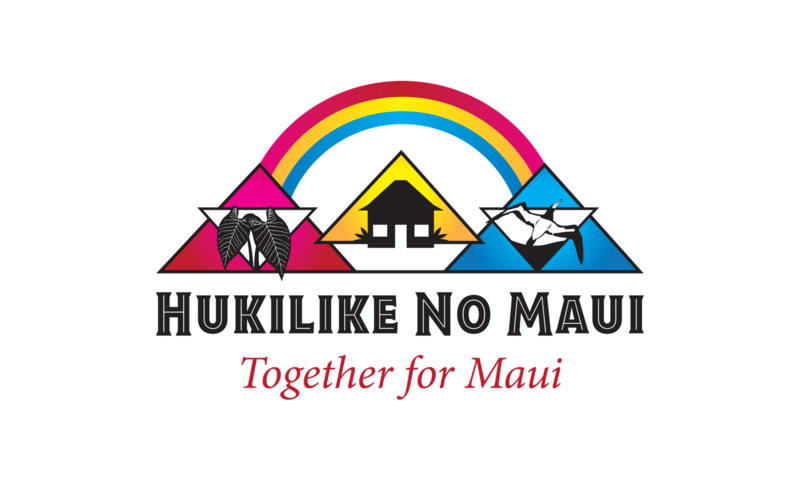 We envisioned a community that would have multiple types of housing and living situations (apartments, single and multi-family homes, tiny houses with community resources, communities for kūpuna, etc. ), agriculture parks and facilities to grow food in different settings (nurseries, aeroponics, etc.) with areas to process and sell food as well.